US Customs and Border Protection revised its use-of-force guidelines to comply with recommendations from an independent report. Under pressure from media organizations, federal lawmakers and human rights groups, US Customs and Border Protection (CBP) on Friday released a highly critical review of its own use-of-force policies, which the agency had kept under wraps for more than a year. The review, commissioned by agency officials to the Police Executive Research Forum (PERF), examined sixty-seven cases involving the use deadly force by US Border Patrol agents. The report’s authors identified a number of questionable practices, finding that some agents had intentionally stepped in front of moving vehicles to justify shooting at them. Other agents appeared to have fired their weapons at rock-throwers, when simply moving away from the projectiles was an option. CBP, US Border Patrol’s parent agency, also revealed revised use-of-force guidelines to comply with PERF’s major recommendations. According to Commissioner R. Gil Kerlikowske, the release of both documents is part of a push to increase transparency at the agency, considered one of the most secretive in the federal government. Human rights groups and members of Congress have repeatedly criticized CBP for concealing its policies, as well as failing to hold agents accountable for questionable uses of force. Border agents have killed at least twenty-eight people since 2010, nine of whom were throwing rocks when confronted by agents with deadly force. No agents are known to have been punished for actions related to the recent spate of killings. The American Civil Liberties Union filed a lawsuit last week under the Freedom of Information Act to compel CBP to release the report. ACLU policy analyst Ruthie Epstein welcomed the revised guidelines, but said that more needs to be done. 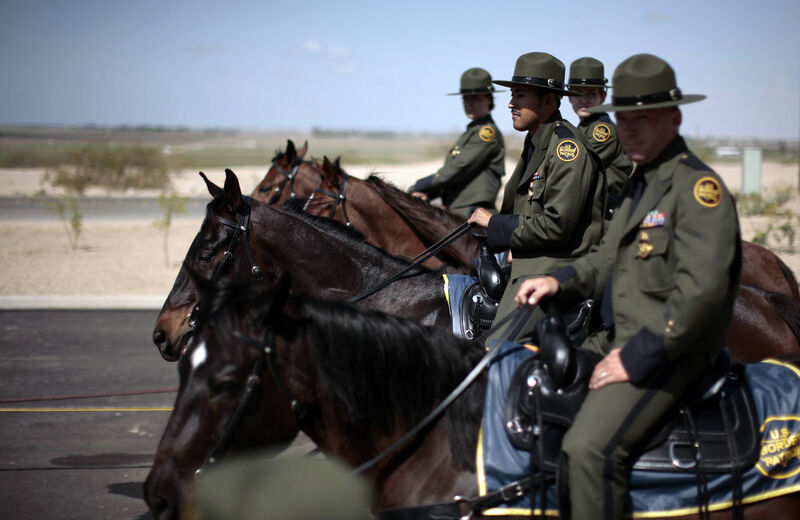 “Equipping Border Patrol agents with body-worn cameras will ensure an unbiased record and allow the agency and the community to ensure that these new and improved policies are fully implemented in practice, as well as on paper,” Epstein said in a statement.